"Box Car? That's dumb. This isn't a Scion xB or Nissan Cube..." I can here you saying now. I'll share something that I just learned 2-weeks ago from my Japanese teacher, while asking him a question about the RPM Manga (did I mention it will be back in two weeks?). 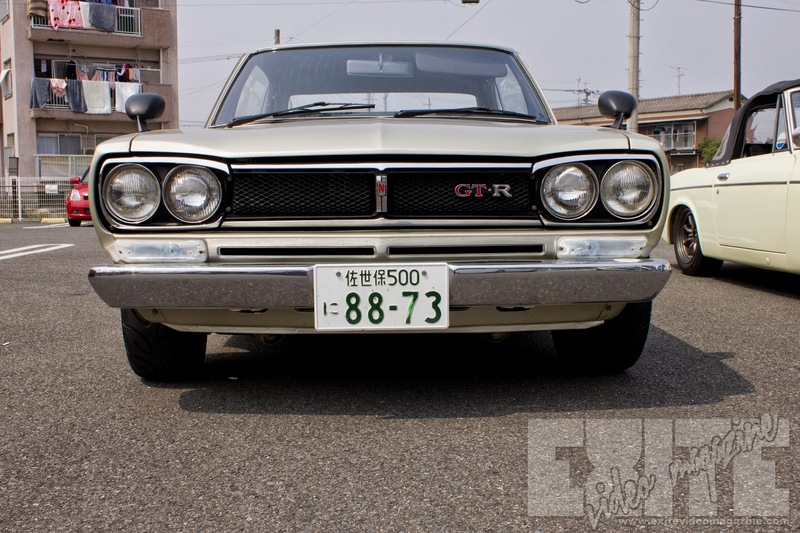 He was laughing and asked if I knew why this generation of Skyline was called Hakosuka. Hako = box + ka- = car. Quite literally, it means boxcar, due to the iconic roof shape. I already knew what both of those words meant alone.... 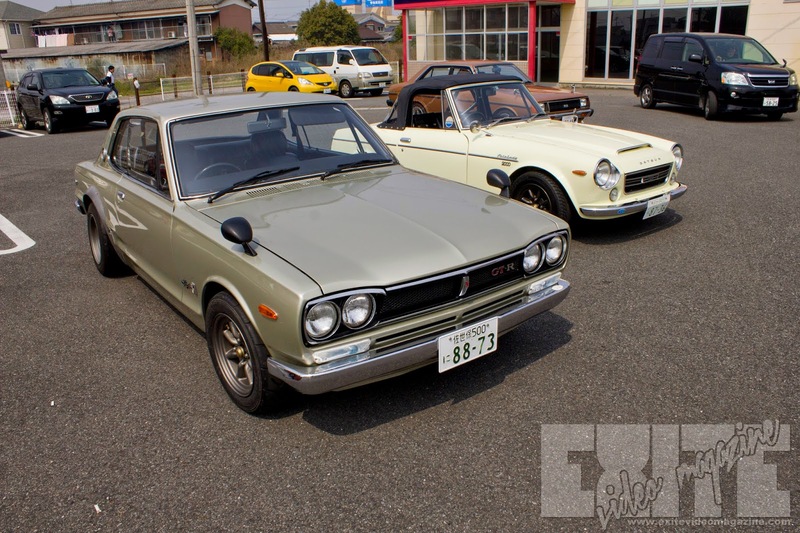 I just never thought to put them together within the word "Hakosuka." 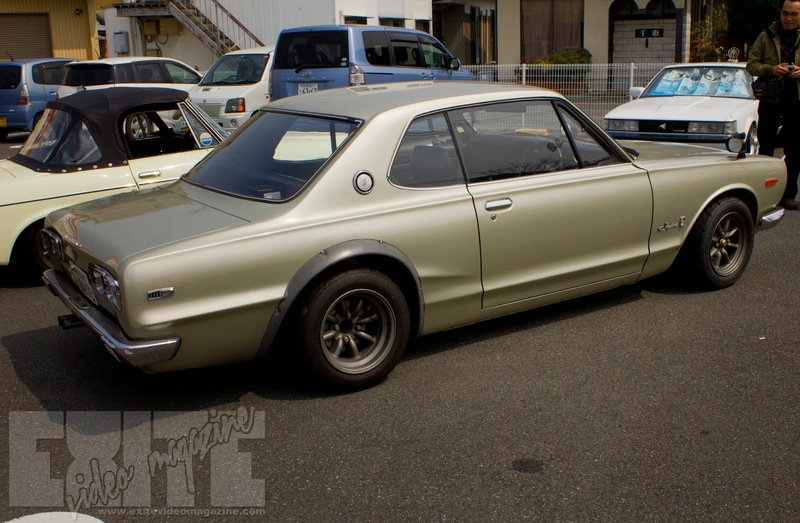 This one is a pretty standard Hakosuka, complete with the standard wheel arches, as seen below. I'm a little disappointed that the car has a "500" number plate. If you don't know what that means, don't worry, I'll go over it in a few weeks, after the coverage of the car show is over. I found a real gem, based on number plate alone, last week. 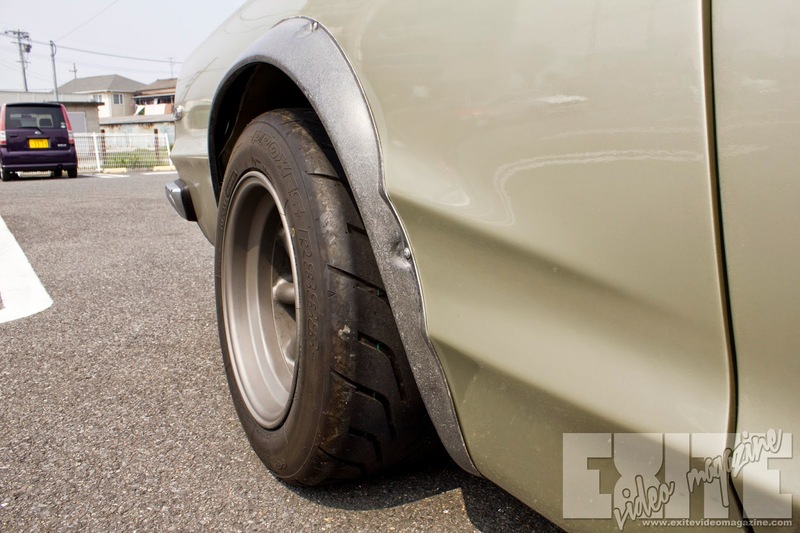 Lookit dem meats on those classic Watanabe's, son! 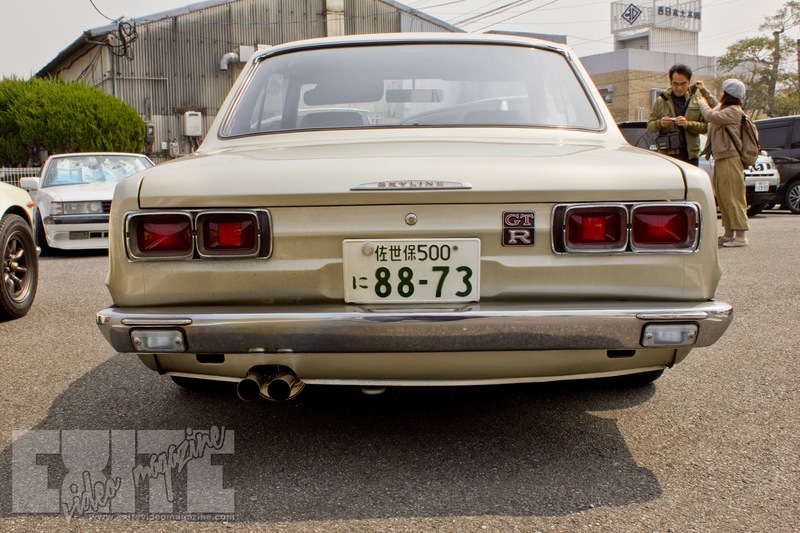 Hakosuka; what's its CAD$ worth?